Come join the celebration of the birth of Jesus Christ on Christmas Eve. We gather together for worship services with songs of the season and candlelight. 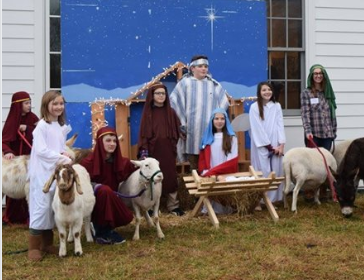 Bring the children to see the annual live nativity with camels, sheep and more from 3 – 5 pm. Join us as we worship together and remember the true reason for the season. All are welcome!